House Beautiful was delivered last week, and I fell in love with the cover! 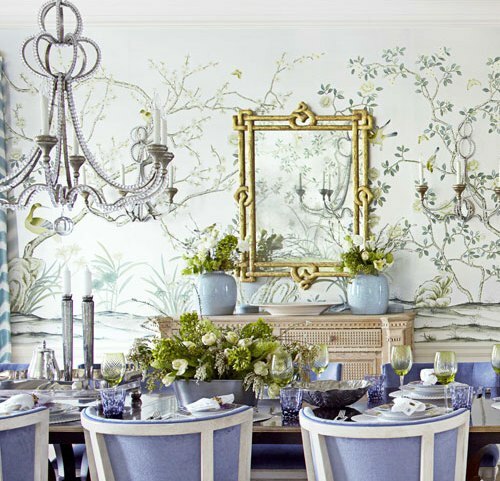 Is it just me or is this dining room perfection? 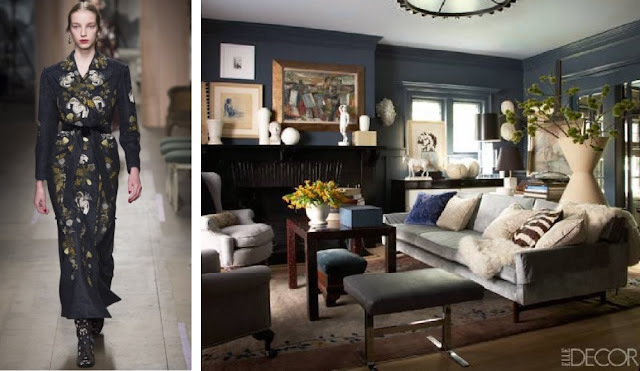 Maybe lavender isn't your colour, perhaps blue or green would suit you better, but let's talk about the details! 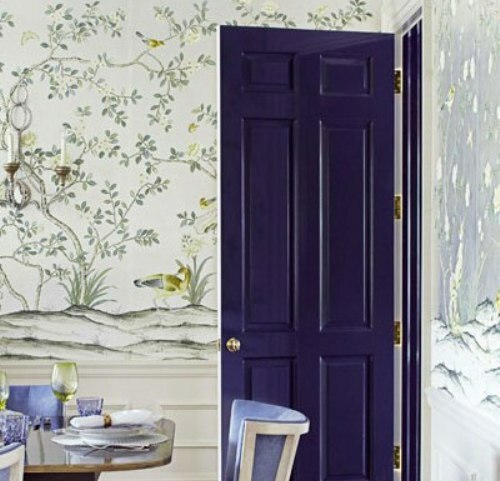 The gold mirror against that fabulous wall of hand painted wallpaper from DeGournay is the perfect mix of sophistication.. Chandelier and sconces are elegant and that fabulous purple lacquered door is dramatic. 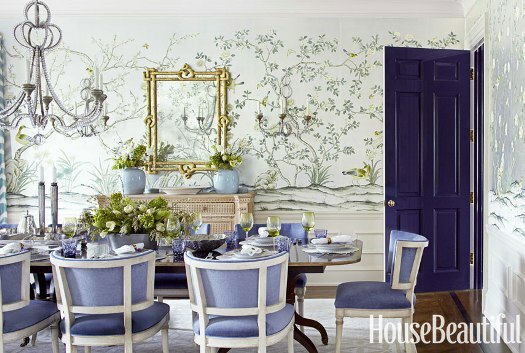 The dining chairs set the tone for the entire room with their simple covering of lilac mohair fabric. And despite the fact that you might call this a purple room, there actually isn't a whole lot of purple in it!